High efficiency for your kitchen. Available in 30" and 36" widths and only 10" high, the Cervinia is a streamlined version of the full-size Calabria model. 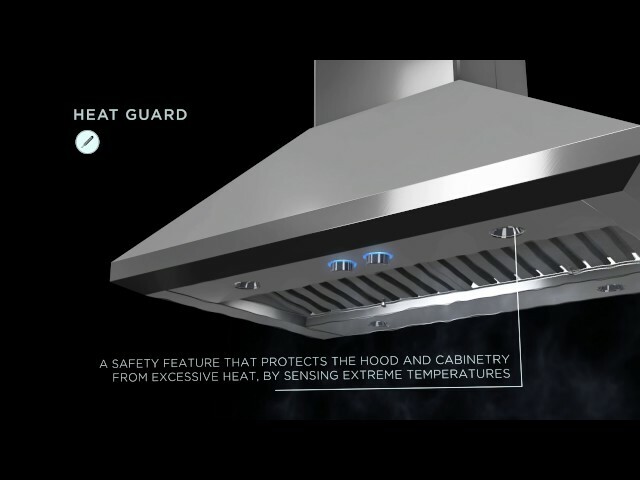 This hood features professional styling, seamless welded corner craftsmanship, a powerful 600 CFM blower with high airflow, heavy duty stainless steel baffle grease filters, replaceable LED lighting, plus stainless rotating knob controls for convenience and safety. Cervinia also delivers higher efficiency and easy maintenance for a cleaner kitchen.